Courtesy of and © Copenhagen City Museum / Københavns Bymuseum. Here's one for the designers out there. 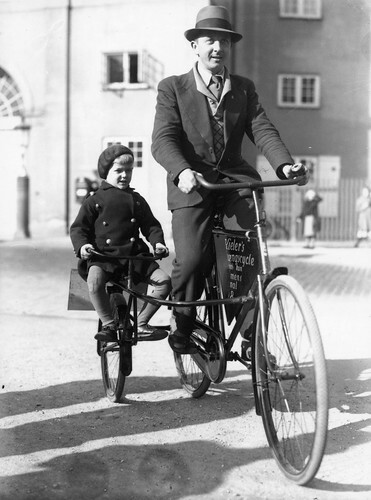 This is a photo from 1935 featuring a dad and his son on a rather unique sidecar'ish kid's attachment. Doesn't look like the kid can pedal, but he gets the whole lovely experience on that perch.